AAnd so it is a new year. Just like the backside of a can, our world is processed with an expiration date. We get told to “use by” and “best before” since the day we first open our eyes to this universe. And every now and then we press the “refresh” button to start brand new. Our resolutions are only but goals we put on the shelf for some time and yet they seem to linger on our to-do list every year hoping that this would be the time. After three years of living in a parallel world, we decided that this is the time the outside world fitted the universe we inhabited. For three years, we have been the protagonists in our own fairytale, the sailors of our own ship, but we have communicated through channels of visual and visceral emotions. Now is the time we sail our ship and tell our tale to the whole world. In Plastik’s first international issue, we take a look back at the key moments that shaped the year before we move on and explore exciting new things to come. And throughout this journey, we persevere with the same grain in our voice and the same convictions. For the power of words and the power of images have no shelf life. Neither do our dreams. HAS THE ART WORLD JUST DISCOVERED ITS GREATEST GEM SINCE PABLO PICASSO, OR IS MR. BRAINWASH THE LATEST PRANK BROUGHT TO YOU BY THE WORLD´S GREATEST UNKNOWN ARTIST, BANKSY? 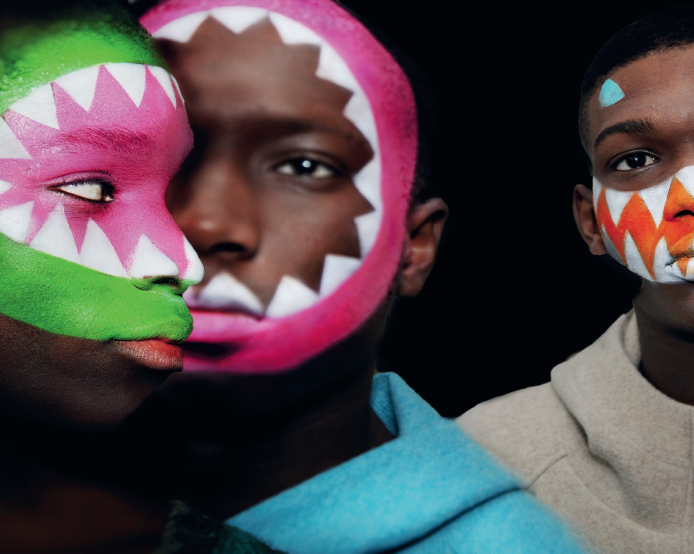 IF YOU WERE TO BUMP IN TO WALTER VAN BEIRENDONCK ON A BACK STREET OF ANTWERP, YOUR FIRST REACTION MIGHT BE TO JUST TURN AND RUN. WITH HIS SHAVEN HEAD, LONG BEARD AND RINGED FINGERS, THE BELGIAN DESIGNER LOOKS LIKE A HEAVY METAL BIKER FROM HELL. WALTER LIKES IT THAT WAY. WHEN PHOTOGRAPHED, HE MAKES IT A SPORT TO LOOK AS MEAN AS MEAN CAN BE. IN REAL LIFE HOWEVER, HE’S A SOFT SPOKEN (TEDDY) BEAR, WHO LOVES A LAUGH AND YEAR IN, YEAR OUT SIGNS FOR SOME OF THE MOST THEATRICAL AND CUTTING EDGE COLLECTIONS ON THE EUROPEAN CIRCUIT. ONE OF THE HOTTEST NAMES IN THE WORLD OF ILLUSTRATION AND GRAPHIC DESIGN TODAY IS NEW YORK-BASED AUSSIE CRAIG REDMAN. THE MAN FROM DOWN UNDER CREATED THE ONE-EYED AND EGG-SHAPED DARCEL, WHO COMMENTS ON LIFE IN A VERY COLORFUL AND YET MISERABLE WAY.